May 19, 2019, 9 am. Early bird registration until May 13! 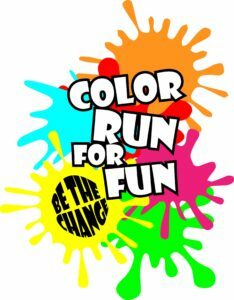 Crispin’s House is proud to be partnering with Be the Change to bring you the Color Run for Fun 5k to raise funds to support our Challenge Day program at Goffstown High School. Challenge Days are powerful, high-energy programs in which youth and adult participants are guided through a series of experiential learning processes to increase personal power and self-esteem, shift dangerous peer pressure to positive peer support and eliminate the acceptability of teasing, violence and all forms of oppression, as well as suicide, alcohol and drugs. Be the Change is a club of fantastic students who work to make every day a Challenge Day at GHS. Our 5k run takes place along Goffstown’s scenic Rail Trail and will start and end at the Parks and Rec Building, 155 South Mast Street, Goffstown. Register on or before May 13 for your free Color Run Tee Shirt!